When it comes to paying off debt, you need to have a plan. Attacking your debt without a plan is a sure way to land a blind-date with defeat. It’s like trying to navigate through a city you’ve never been to without a map or GPS. You’re on edge, nervous, and unsure of every turn. The potential for getting frustrated, lost, or choosing to abandon your journey is high. This is not a winning environment to wage war on your personal debt and expect to overcome it. Planning removes the butterflies and uncertainty of decision making. It prepares you for what is to come by easing you into the reality of the challenge you’re about to face. Having a plan gives you confidence. #1) Purpose: Why do you want to get out of debt? Paying off debt is not easy. If it were, more people would be debt-free. Instead, it’s a long and trying process that requires discipline, sacrifice, and a lifestyle change. It’s no wonder few dare to take on the challenge. However, having a clear WHY gives you an edge. Reason is powerful. It gives meaning to every step you’re about to take and it’s a great incentive for enduring every challenge. Identify your unique reason for wanting out of debt and you will have the motivation to keep going, even at the toughest moment of the journey. If it’s important to you, it’s good enough. #2) How much debt, and what types of debt are you dealing with? Knowing how much debt you’re dealing with will help you accurately evaluate the challenge before you. Understanding the type of debt can help you prioritize your debt. When combined, you can make decisions to deal with your debt with confidence and without risking your assets or getting sued by creditors. Think about it, isn’t it a bit silly (or even dangerous) to jump into something you don’t understand? Your debt is no different. Take the time to know your debt (how much, due dates, minimum payments, interest rates, etc.) so you’re better prepared to deal with it. First, list all of your debts in one place. If you honestly don’t know or you are having a hard time tracking them, you can find this info on your credit report. You can also call your creditors for more information about your accounts. After gathering this information, list all your accounts together and add them up. Then, figure out what the payments are, when they are due, the interest rates, and so on. Having this basic information can increase your chances of getting out of debt quickly because it allows you take steps based on accurate information. NOW you can evaluate your situation, prioritize your debt, and make a plan to pay it off. Preparation minimizes surprises and increases success. That brings us to question number 3. #3) What method should you use to pay off your debt? There are different methods you can use to eliminate debt. But methods are only as good as they are effective to your situation. When choosing a method, consider your unique circumstances and allow your personality to play a role in choosing the method that will be most effective for you. Asking questions that go beyond the surface and highlighting your own desires, fears, strengths, and weaknesses is be great for identifying the right approach to pay off your debt. – What is my number one priority? Is it saving the most in interest or getting out of debt as quickly as possible? – Can I do this by myself or is this going to take some outside help? – How disciplined am I with long processes? -How do I handle not meeting goals? -What motivates me more- watching my debt disappear at a greater rate or seeing my savings on interest pile up? The fact is, our priorities are different. We’re motivated by different things and we have different strengths and weaknesses. There is no one-size-fits-all method to paying off debt. 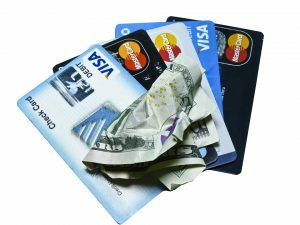 Understanding this as you evaluate the different approaches to eliminate debt can set you up with the right method for your unique situation. Here are three commonly used methods to pay off debt. Which approach gives you the edge to eliminate your debt like a ninja? The debt snowball method is a debt elimination strategy that focuses on paying your consumer loans from the smallest amount to the largest. In the process, you get quick wins against debt to motivate you to move along through the process. The concept: Pay the minimum payment on the bigger debts (regardless of the interest rate) while focusing on the smaller debts. After taking care of the smaller credit, take that monthly fund and add it to the next smaller debt. Repeat the process until all of your debts are paid. In the end, all of the money that was going to all of the different credit lines go to one debt or creditor, eliminating it faster. Just as with the the debt snowball method, allocate enough money to make the minimum payments for all of your debts. Then, take the credit line with the highest interest and put additional money towards it. After paying it off, take the money you are now saving by not paying that bill and add it to the minimum payments you were making to the next highest interest loan. Repeat the process until all your debts are paid off. In the long run, following this process should help you save significantly on interest. Debt consolidation is combining all of the different loans you have into one credit line. You end up making just one monthly payment, with one interest rate, and to one lender. Easy, right? 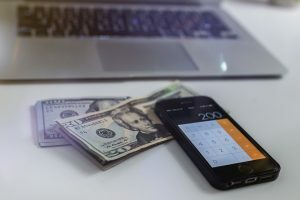 Debt consolidation might be the method of choice for some people for ridding their consumer debt, but it too has its benefits and disadvantages like the first two methods. The biggest upside of consolidating your debt is that it makes it easy to manage your debt. If you’re overwhelmed with many line of credits, it’s worth looking into the debt consolidation method. Now for the disadvantage, unlike the debt snowball method or debt avalanche, you’re actually taking out a loan. You’ll end up paying more than your original debts combined. And you might be in debt longer. 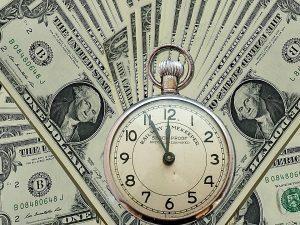 So, which method is most advantageous for YOU to pay off your debt quickly? When it comes to paying off debt, prepare ahead. Preparation minimizes surprises and increases success. Progress is key — it keeps you moving. Planning is crucial. Having a plan prepares you mentally, emotionally, and financially. It helps you set better goals to avoid discouragement and promote success. Planning gives you confidence. To have a winning chance at paying off your debt, find your WHY and hold on to it. It is your driving force — your motivation. Know what you’re dealing with. Debt is your enemy. The more you know it (how much, what type, to whom, etc. ), the more chance you have to overcoming it. A method is only as good as it is effective for YOU, so let your priorities, situation, and personality influence the method you choose to pay your creditors fast. The fact is, you’re free to approach your debt any way you’d like. But you need a strategy. When in doubt, identify your priorities. Ultimately, you’re the one who knows what’s best for you and your situation. What’s the best possible way to set yourself up to get rid of debt quickly? How are you destroying your debt?